Ostriches fighting, just look funny. It’s all long skinny legs and massive feathers everywhere. 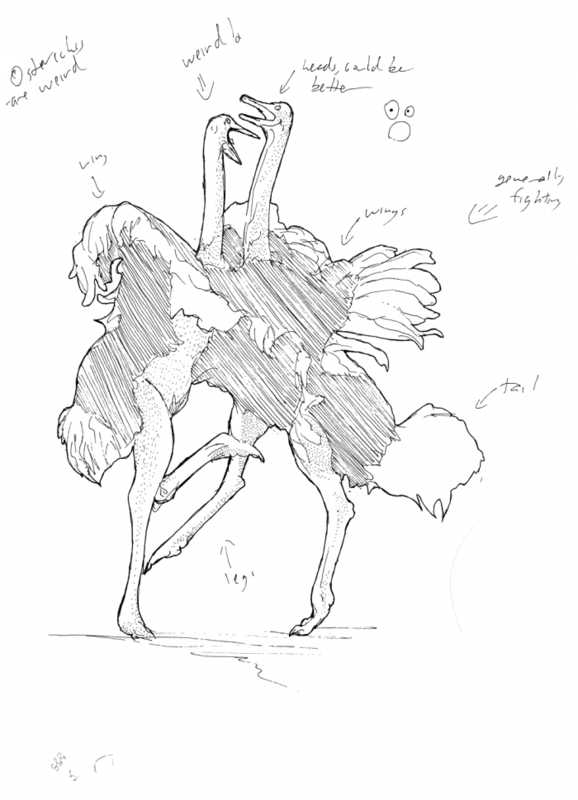 This entry was posted in Scanned Desksketch and tagged bird, ostriches by Anthony. Bookmark the permalink.